Well who got kidnapped this time lol? Dude has that subgenre locked up. samsonlonghair wrote: It's kind of a Catch 22 for Will Smith. Every time he gets ambitious and breaks away from his old typecast roles, the box office punishes him. Meh, watched that some months back. Got the impression the movie was just all about trying to get his son exposure for movie career. Non movie related, Will Smith put out a video clip on Fault vs Responsibility and a followup rebuttal a few days ago. Wow! A keeper for many circumstances, captured the video to my hard drive. A great actor looked on positively by various generations, a powerful message. stickem wrote: Well who got kidnapped this time lol? Dude has that subgenre locked up. For sure. He's taken the ball and run with it. I think someone was just kidnapped on a train. "Taken on Rails"!!! I honestly forget the title of his most recent one. That's how I archived it. I've only seen the first Taken movie but enjoyed it. The Grey was really interesting. We'll call that one "Taken by Wolves!" No spoilers. Wow! This is already 8 years old. My movie backlog is intense. Denzel Washington, Gary Oldman, & Mila Kunis in a post apocalyptic semi-religious thought provoking action flick... Let's do it! ... unfortunately there isn't much I can say without huge spoilers. The movie starts out with you knowing very little and gradually explains the premise to you as time goes on. I liked this level of mystery. I kept thinking "okay, cool... now where is this going next...?" I read reviews after watching, and this one is extremely polarizing. I fell on the on the side of the fence who like it. There are certain films you will always remember for being more than they were on the surface. A handful quickly come to mind; Fight Club (yes, I read the book), The Prestige, Momento, Revolver, The Illusionist. 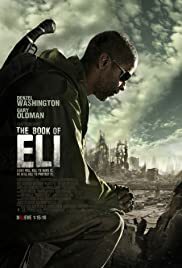 I just added Book of Eli to this list personally. Small warning: There are some graphic scenes and scenarios depicting the worse side of humanity. This aspect reminded me of The Road (2009) for those of you who have seen it. Those are worth getting through in my opinion, to experience the final product. What'd you guys think of this one? Interested to see if our small microcosm of movie fans here are also fairly dichotomous on this verdict. It has Tom Waits in it, which was more than enough for me. 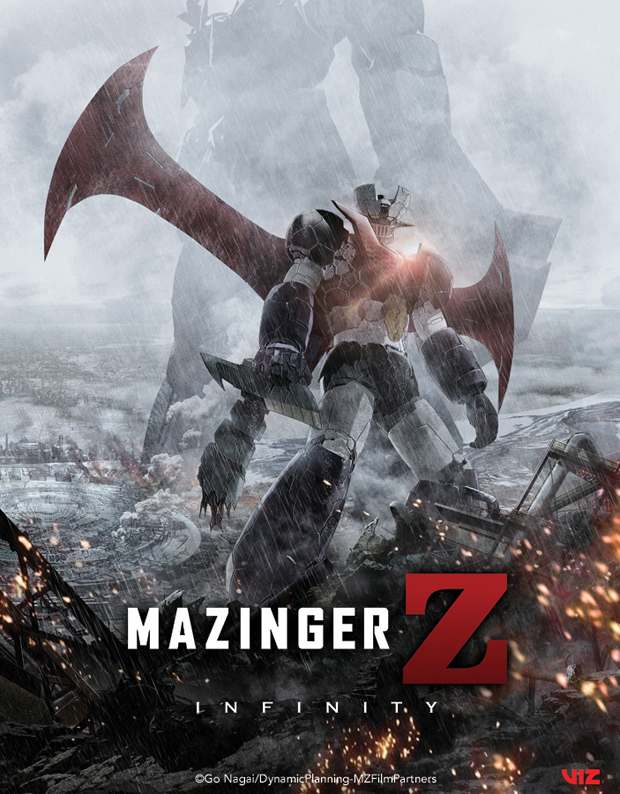 Just got back from seeing Mazinger Z: Infinity's limited showing. It was... OK. It was definitely made for the fans, I don't think I could recommend it as a standalone movie. Not surprisingly I was one of the few people there. There was a hispanic man with his kid (Mazinger was very popular in places like Mexico and Puerto Rico) and the kid clapped after the theme song at the beginning which was adorable. They tried to do a lot of crazy sci-fi things while also keeping true to the 70's anime and some of the modernization clashed with the source material. The overall pacing was a bit awkward as well but the giant robot action was fast and fun. The new character they introduced was a little off to me, she didn't really fit in well and the way she was tied into the plot was interesting and had a pay-off but maybe not handled as well as it could have been. I would have liked more focus on the villains as well, they were just sort of there because they needed to be there, the quirky villains are one of the funnest things about Mazinger. All that said they crammed in a lot of nostalgic fanservice and it wasn't a bad finale to for the 70's anime continuity. If you're a fan, there's a lot to like but if you're not you didn't miss much. “Disaster-piece” is pretty much the best way to describe it. The film is a hot mess of a movie made by a genius, and I recommend it to fans of the director’s other work. I've watched Citizen Kane - which is admittedly brilliant in the context of its time, and has had undeniable influence on nearly every movie that has been made since. On the other hand, I can also understand why modern audiences might find this movie a little dry. I've also listened to the War of the Worlds radio broadcast - which is also brilliant in a very different way. Interrupting a music broadcast with fictional "breaking news" stories is a brilliant way to subvert genres and play on audience expectations. My knowledge of Welles gets pretty slim after that - mostly cartoon references. I know he voiced Unicron. I know that The Brain (from Pinky and the Brain) was doing an impression of Orson's voice for the whole show. I know that the animated show "The Critic" made a few jokes about Orson Welles's appetite. I feel like I should probably watch a couple other Welles flicks before I move on to a disasterpiece. Any recommendations for a fair-weather fan of Orson Welles? samsonlonghair wrote: I feel like I should probably watch a couple other Welles flicks before I move on to a disasterpiece. Any recommendations for a fair-weather fan of Orson Welles? Orson Welles also acted in, but did not direct, The Third Man, and movies don’t get much better than that.